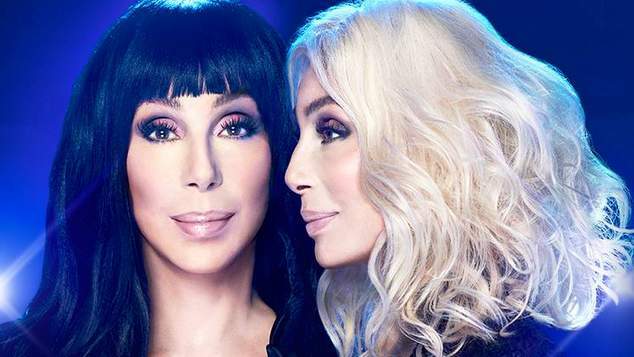 Cher’s album of ABBA covers doesn’t disappoint, but also doesn’t throw up many surprises. It’s exactly what was promised – the iconic singer delivering 10 ABBA hits with her own distinctive voice. The party album kicks off with Dancing Queen a version that is almost a carbon copy of the original – why mess with something that was already perfect. On Gimme Gimme Gimme (A Man After Midnight) the tune is updated with Cher’s signature vocal trickery and extra dance beats. Waterloo is one of the tracks that is significantly different to the ABBA version, backed by a pulsing electro beat the opening bars sounds like a Gary Numan song from early 80’s. On the chorus we return to a more familiar sound piano and saxophone front and centre, I really wish they’d pushed it a little further. Mama Mia is slightly disappointing, what has always made this song a stand out is the balance between the thundering verses and the sparse chorus, here there’s just a few too many sounds in the mix. As we head to the album’s conclusion things slow down as we hit a trio of slower tracks Chiquitita, Fernando and The Winner Takes It All. All three are perfect renditions, and you can’t help by reflect on Cher’s own personal experiences of divorce and loss as she sings The Winner Takes It All. One of Us is stunning. Sparse and hymnal is style it showcases the powerful lyrics and emotion of the song – the perfect album closer. This is a great album to throw on when your having pre-drinks and getting ready for a big Saturday night, play it in the car on a long drive, keep on standby for when you need a pick-me-up from a tough day. You’ll love singing along to every lyric.